Today’s guest poster is Alissa from Rags To Stitches Take it away, Alissa! 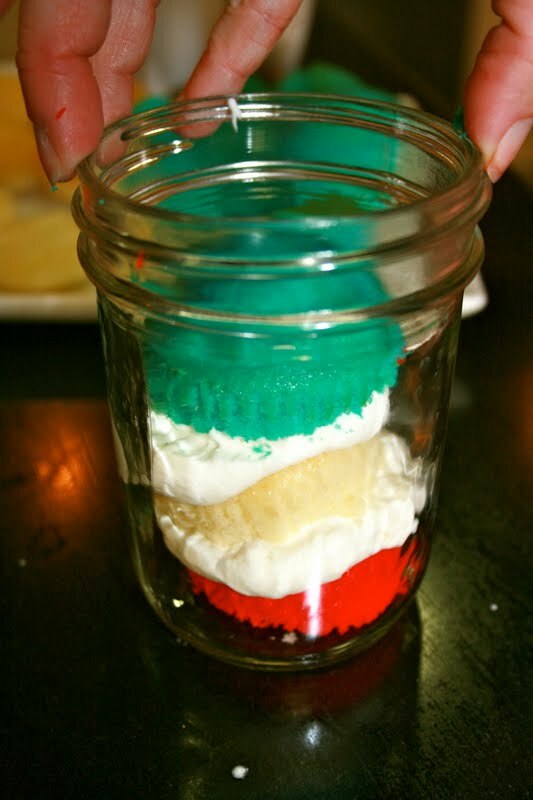 It’s served in a mason jar! Before we start: pre-heat your oven to 325 degrees. Begin by mixing together a box of white cake mix with all the ingredients it calls for on the back. Divide the cake mix evenly in three bowls. 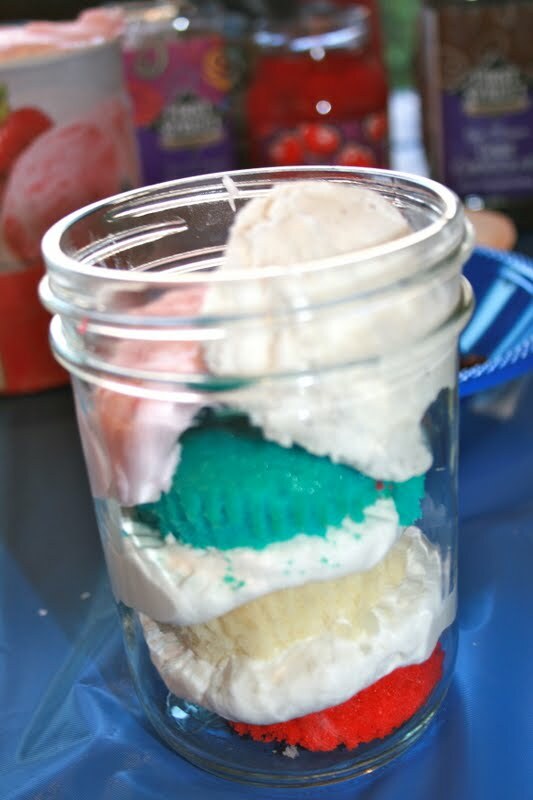 I took one bowl of white cake mix and put it to the side; then I added red food coloring to the second bowl and blue food coloring to the third. 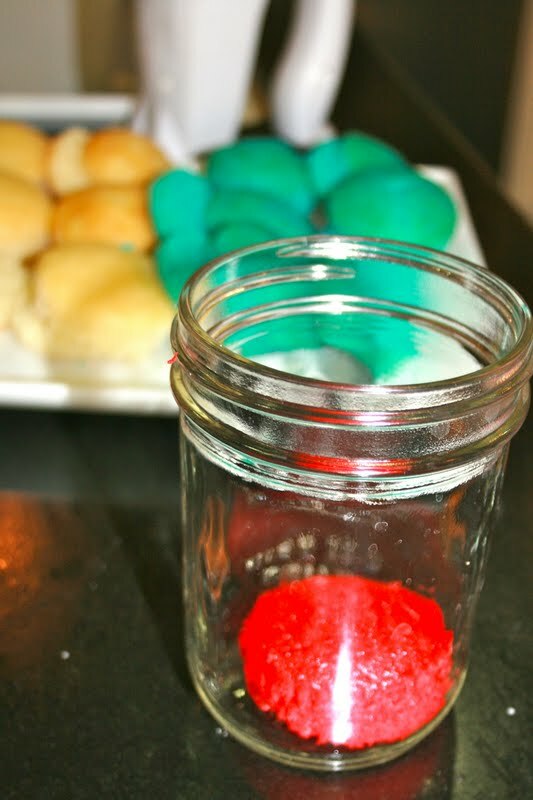 I went with a 4th of July theme, but you can use this recipe for any occasion. Mix well so that all the color blends evenly into the cake mix. Grab your cupcake pans and get ready to pour. 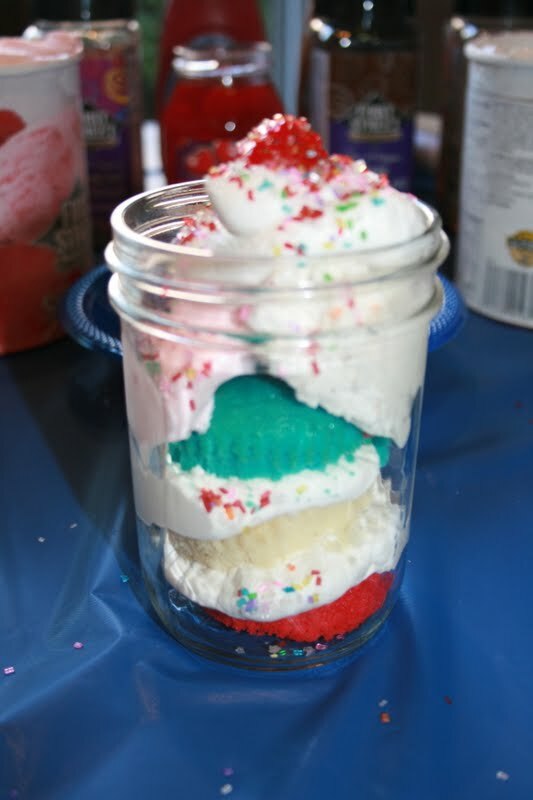 I chose to use cupcake liners to bake and then remove them later, but you can use also use a generous amount of Pam Butter Spray and put the mix directly into the cupcake pan. Bake your cupcakes for the allotted amount of time. When your timer goes off, take out your cupcakes and set them on the counter to cool. This will take a couple of hours. Take all the cupcakes out of the liners and cut them in half. Mix up some Heavy Whipping Cream, Sugar and Vanilla extract using egg beaters in a separate bowl. 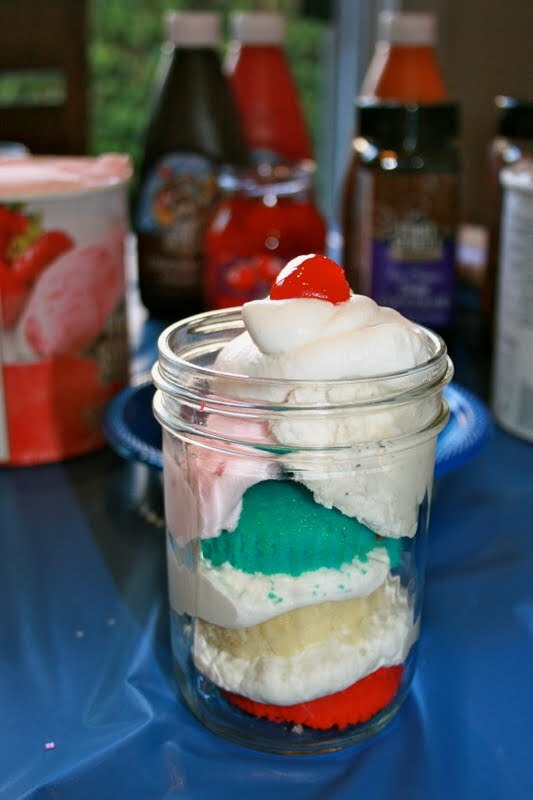 You can also use whipping cream from a can, I just love how fresh whipped cream tastes. 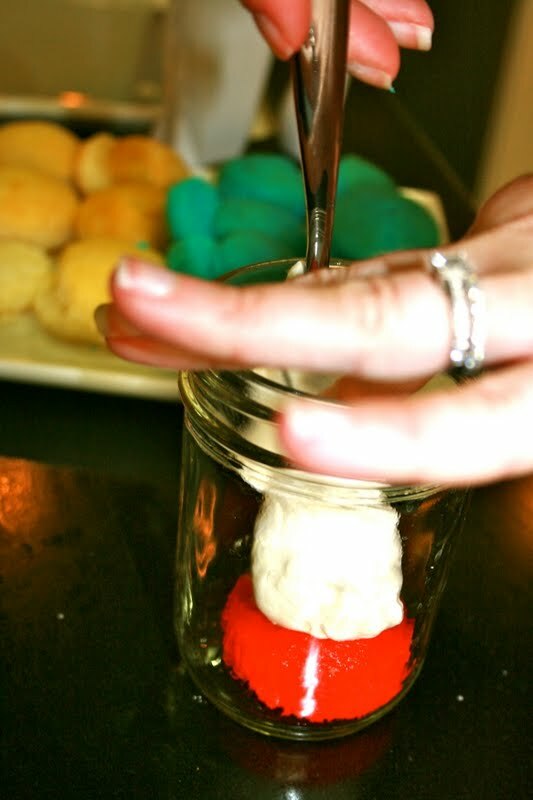 Grab a mason jar and we’re ready to build our treat. 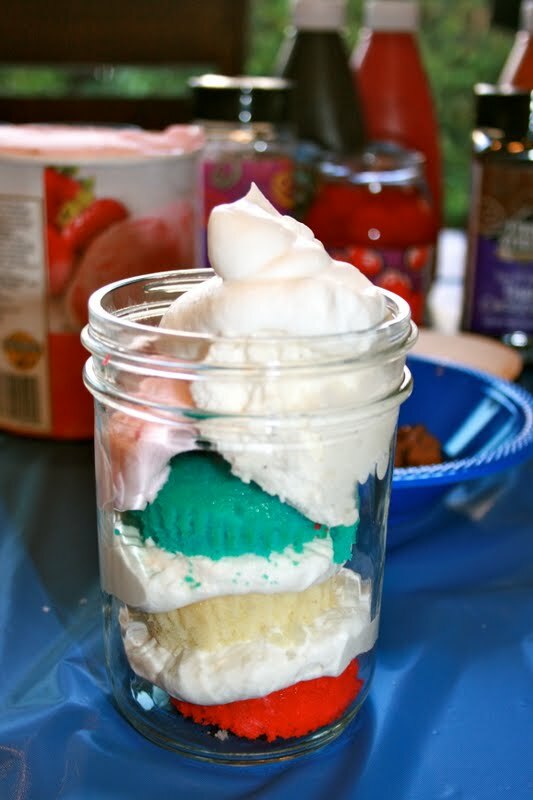 First add 1/2 a red cupcake, then create a small layer of whipping cream. Next, add 1/2 a white cupcake, then another small layer of whipping cream. Finally, add 1/2 a blue cupcake. On the top, add a scoop of ice cream; I used strawberry and vanilla. Then I completed my dessert by adding some more whip cream, a cherry, a variety of great ice cream toppings and topped it off with some syrup. 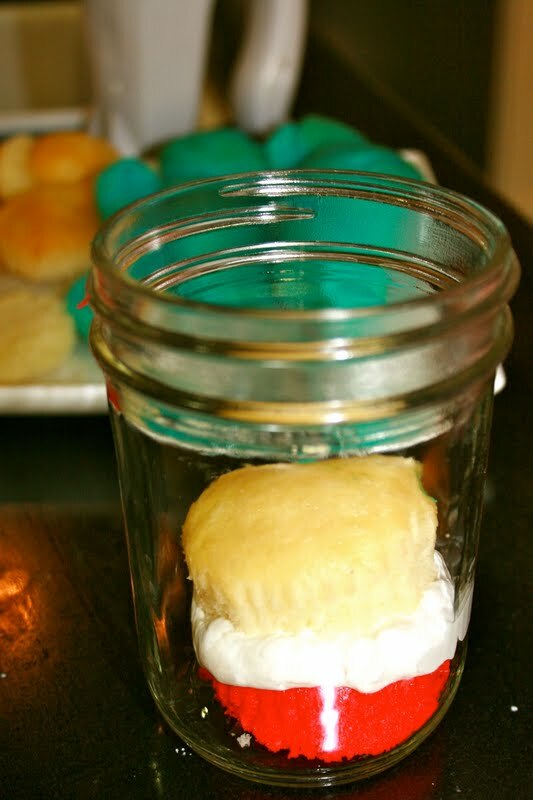 Now you and your guests can enjoy a yummy treat all contained a pretty mason jar!! Enjoy! My guests and my kids loved the dessert I created. I’m sure yours will too. Add food coloring to each bowl that you want to make colored cupcakes with and stir and add until your desired color saturation is reached. 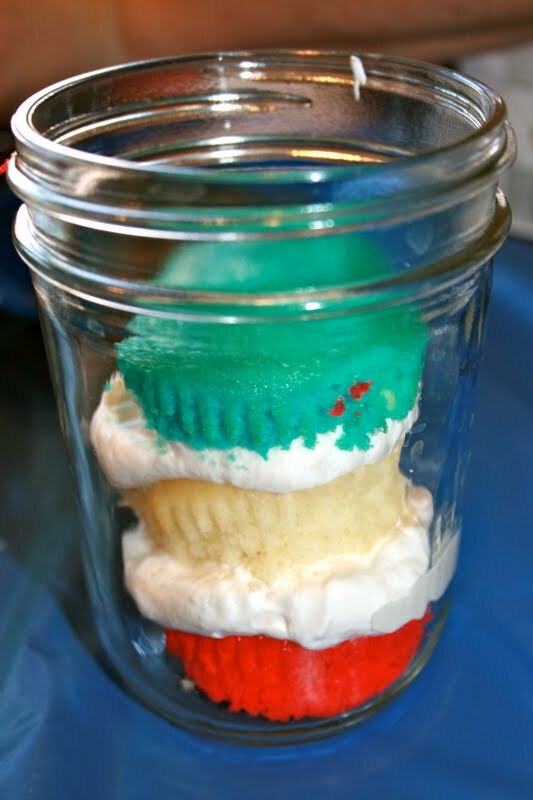 Spray or line your cupcake tins, pour in the batter and bake - according to package directions. Grab your first mason jar and get ready! If you're serving these immediately - top with ice cream and your favorite toppings and devour! 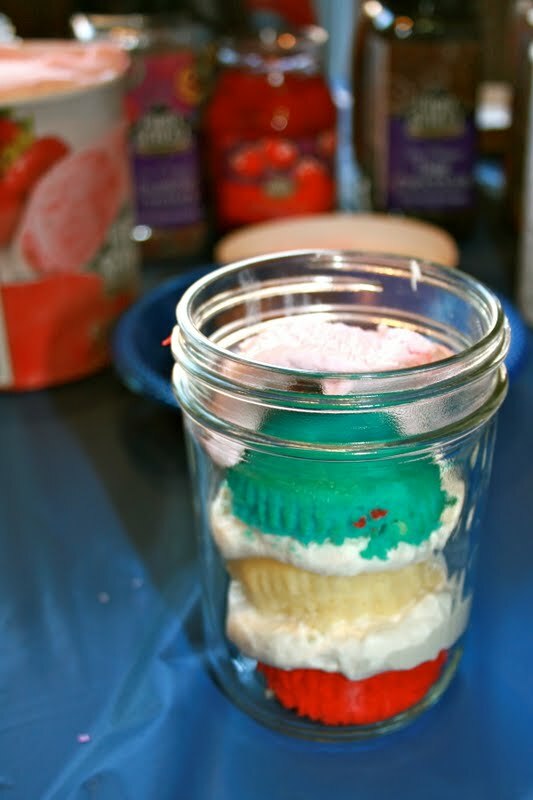 If you're giving these as gifts; screw the top on the mason jar, affix a cute label with serving directions and keep refrigerated until time to deliver! What’s not to love about these. Colourful, Delicious and Fun! 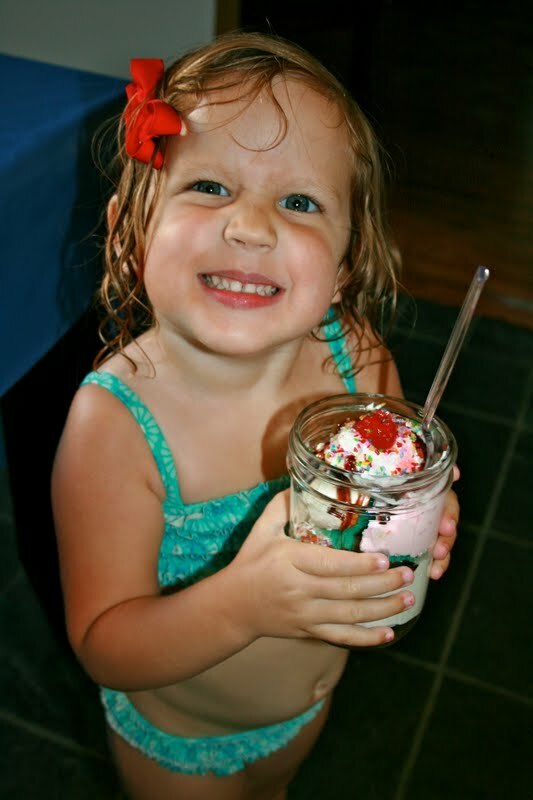 Eating from the mason jars is such fun…and not just for the kids!